Finally a software, simple, accessible and competitively priced to manage your bar, restaurant, snack bar. You will find everything you need to edit receipts, even barcode management by scanner or handheld. POS Sector bar and restaurant software is a state-of-the-art point-of-sale solution used by more than 3,800 bar and restaurant owners worldwide. Chr365 is very easy to use and fully configurable according to your hotel, cottage, restaurant, bar, cellar, seminar, shops, SPA. Chr365 can be adapted to all sizes and categories of establishments. Gesthorest is the management software for hotels and restaurants: planning, booking and invoicing, inventory management. This software will save you time. 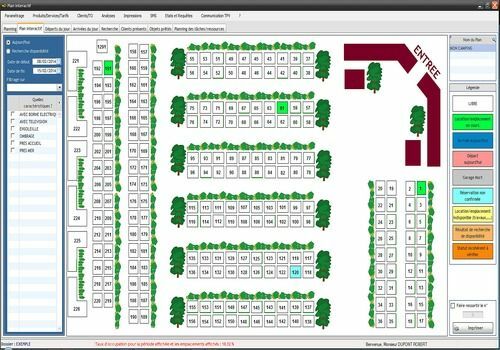 Simple and efficient, Gest-Hotel is a software that will assist hotels on a daily basis in managing room reservations.